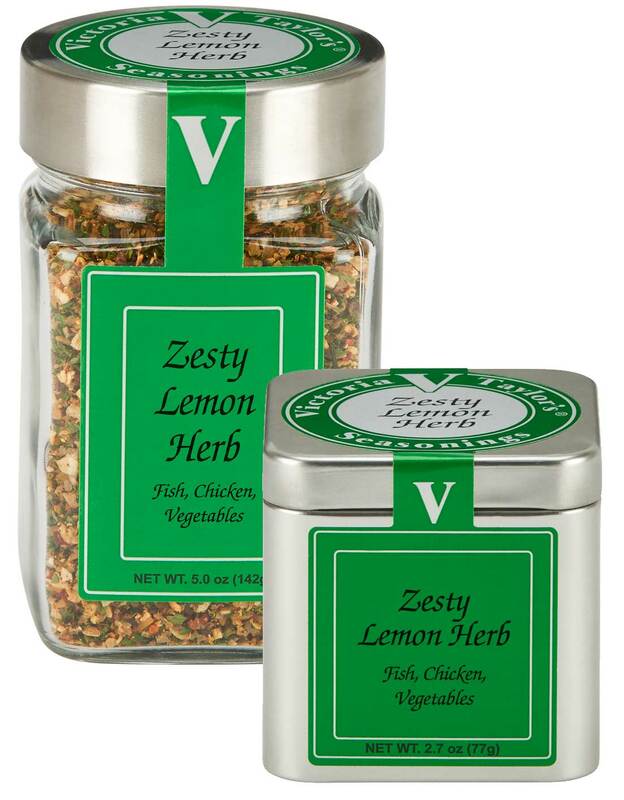 Zesty Lemon Herb features the bright, clean taste of lemon complemented by Victoria's personal blend of herbs and spices featuring the smoky sweetness of Paprika and the clean flavor of Parsley. This fresh tasting blend works perfectly on seafood, chicken, and steamed or roasted vegetables. Sea salt, onion and garlic, demerara sugar, mixed spices (including black pepper, dill weed), lemon peel 10%, citric acid, orange peel, paprika, parsley, lemon oil, orange oil. I have been using your products for a couple of years. I buy them from a local outlet. I just found your website and had to write you. I believe these are the most useful, delicious spices I have ever used. I have most of them that you offer. WONDERFUL!!!!! I recommend them for everybody and tell everyone about them. - One Happy Customer, Linda T.